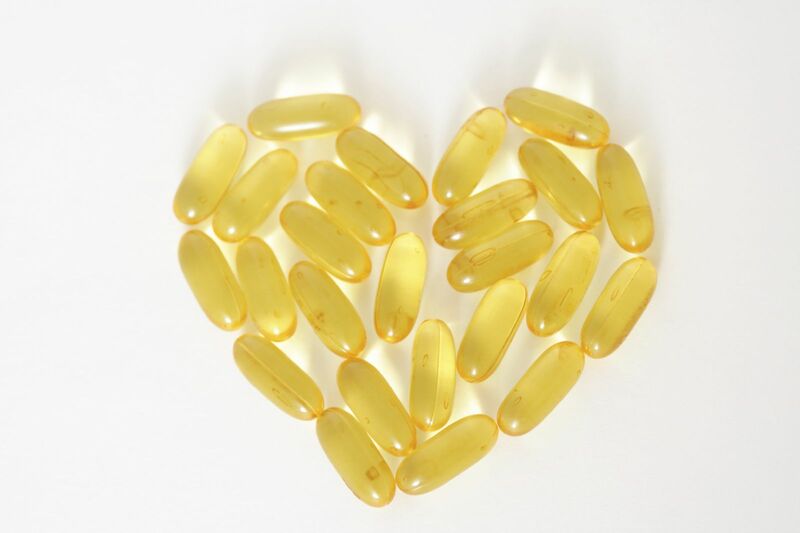 Vitamin D and omega-3 fatty acid supplements have had mixed results when it comes to preventing heart attacks, strokes, and cancer in people who have already developed these problems or are at high risk for them. Yet a new study published online Nov. 10, 2018, by The New England Journal of Medicine found they may actually prevent these conditions among people who have never had these problems before. Researchers recruited almost 26,000 people, ages 50 and older, who had no history of heart disease or cancer. The participants were divided into four groups. People in one group were given daily doses of 2,000 international units of vitamin D (an amount found to be linked to lower disease risk in observational studies) and 1 gram of a drug called Lovaza, which contained 840 milligrams of omega-3s (two to four times the amount in two servings of fish per week). The second group took vitamin D and a placebo, the third group took the omega-3s and a placebo, and the final group took two placebos. After more than five years, the researchers found that those given omega-3s were 28% less likely to suffer a heart attack compared with those given a placebo. Those who ate fewer servings of fish (less than the average of 1.5 servings per week) appeared to have a greater benefit from the additional omega-3s while those with higher fish intake had minimal benefit. The study also found that those taking vitamin D supplements alone did not have lower rates of heart attack, stroke, or cancer. However, among people who later developed cancer, those who took vitamin D supplements for at least two years had a 25% lower chance of dying from their cancer compared with those who received a placebo.